Remember John Travolta's and Uma Thurman's famous dance in the movie "Pulp Fiction"? How about Michael J. Fox's stress-filled guitar riff onstage in "Back to the Future"? Of course, you do! If you missed the news lately, the man who wrote and sang those rocking tunes just died this month at the age of 90. Chuck Berry, the rock and roll icon who influenced countless musicians and fans, is gone. I'm always saddened when an integral part of my youth passes from this earth, so in typical book-nerd fashion, I checked out both his autobiography and his unofficial biography. 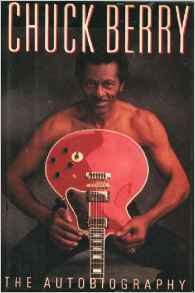 Chuck Berry: The Autobiography was written in 1989 and in his own words (with some input from none other than Bruce Springsteen), Berry describes his childhood, jail terms, rise to stardom, and creating his biggest hits. As with many autobiographies, it is somewhat self-serving, showing what the subject himself feels is most important. The impact of racial issues on his life is ever-present. There were some topics that gave me more information than I wanted, especially about his relationships with women, but perhaps this is because he wrote the book while imprisoned. Overall, it is a fascinating look into the mind and attitudes of a rock pioneer. 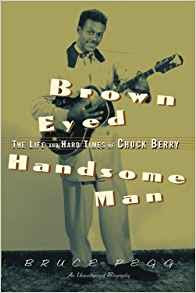 I also read Brown-Eyed Handsome Man: The Life and Hard Times of Chuck Berry by Bruce Pegg. While this is an unofficial biography, it draws on public records and the author's interviews with Berry to provide a less luminous portrait of the man. As a musician, Chuck Berry's influence is profound. 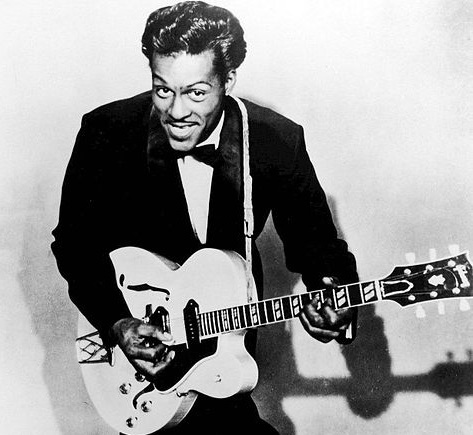 John Lennon famously stated, "If you had to give Rock 'n' Roll another name, you might call it Chuck Berry." Unlike many musicians, Berry did not travel with an entourage. He toured incessantly without the music industry's assistance. His biggest hit song - and the only one to make the number one record spot was the infamous "My Ding-a-Ling". Pegg's book spotlights many areas of Berry's life that the musician's own book does not delve into. Although you may not wish to read both of these, together they offer the most balanced view of the duck-walking rocker. If you are a fan of Chuck Berry, you will be pleased to know that before his death he finished recording his first new album in decades, "Chuck", which will be released later this year.